We moved. Or I should clarify we are moving. My Soldier retired and decided that Paradise was not the place for him. The retirement and moving will be in a future post because there are far too many tangents this post could go on. For now we are living “the in between” time of having left Paradise and finding a new home to settle into. In April all of our household goods were packed up and put into storage…for up to 1 year. All my fabric was packed into 19 gallon storage boxes; 27 of them. I was able to set aside one box to keep with me while I sew during “the in between”. This has been a limited stash to pull from. Especially since I had no idea I would not see my fabric for almost a year. I thought we would be in a house by now unpacking and settling in. But we still haven’t found the house. Because it has to be the house for us at this point in our lives. During “the in between” I have been working on RE-building my stash. But, I am trying to be conscious of the fabric I have in storage. I am trying to be careful that I don’t repeat or double up on fabrics I already have. This is difficult because I cannot see the fabric, but, I know my stash was seriously lacking in certain colors, and basics. For instance, I know my stash is seriously lacking pink. I know this because I have been avoiding that color since 1989. I left pink with the 80’s. Only recently have I been challenging my self to use the colors I like the least. Pink was the first. So I started the #100days100blocks challenge with the idea to use pink with my favorite color; yellow. And I have been building my pink stash as the challenge progresses. My stash is also lacking small print coordinating basics. I love small print fabrics. When I saw Paintbox Basics by Elizabeth Hartman I knew it would be the perfect addition to my stash. 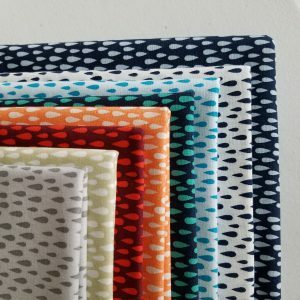 This fabric collection comes in a near rainbow of colors with small prints that can be so versatile. 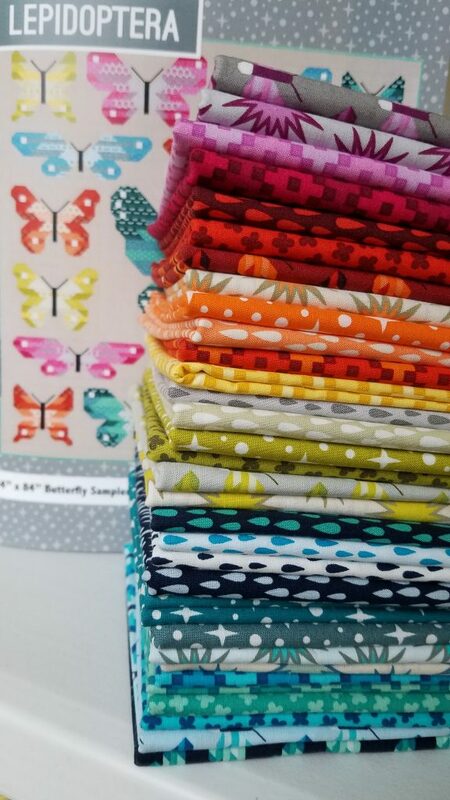 And of course, this collection has to be made into the beautiful butterfly quilt using the pattern Lepidoptera by Elizabeth Hartman. All the colorways in the small print basics will make for some beautiful butterflies. The range of blue & teal is just so gorgeous. I cannot wait to start working on my butterflies with this range of color. The raindrops print in so many colors is my favorite!! 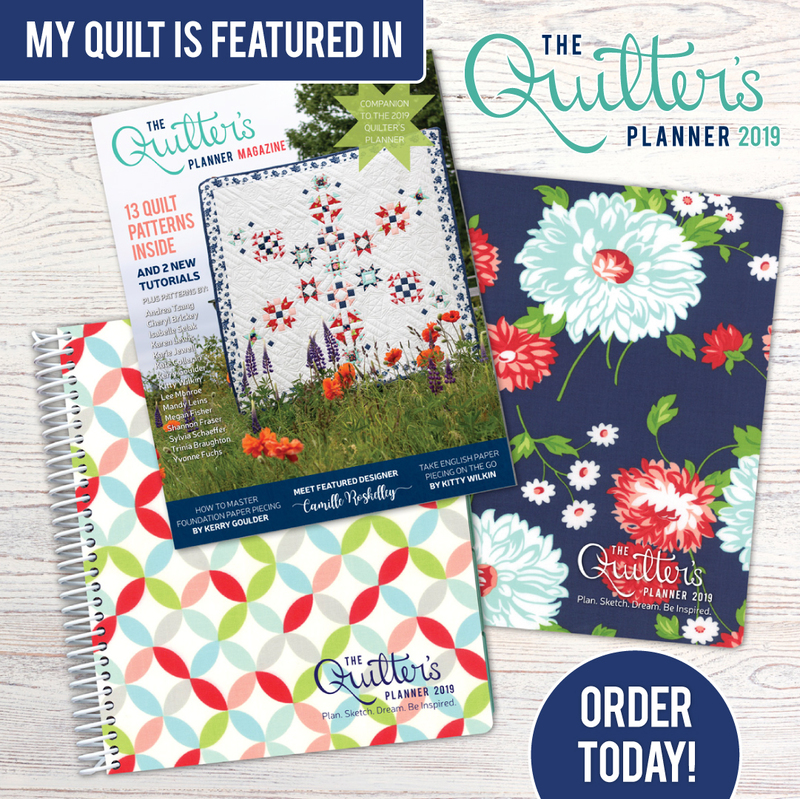 What a wonderful addition to my stash…and I cannot wait to get started on a quilt using these beauties. Of course I bought the 1/2 yard bundle so I will have plenty left to work into other projects. What have you added to your stash recently? What is missing from your stash? Link up with Sunday Stash and share your stash! What a bittersweet situation to be in. Concerning the fabric situation the concept reminds me of the capsule wardrobe trend that’s been making rounds – you only buy what you will actually use right now instead of stashing away what you may or may not use in a quilt one day. 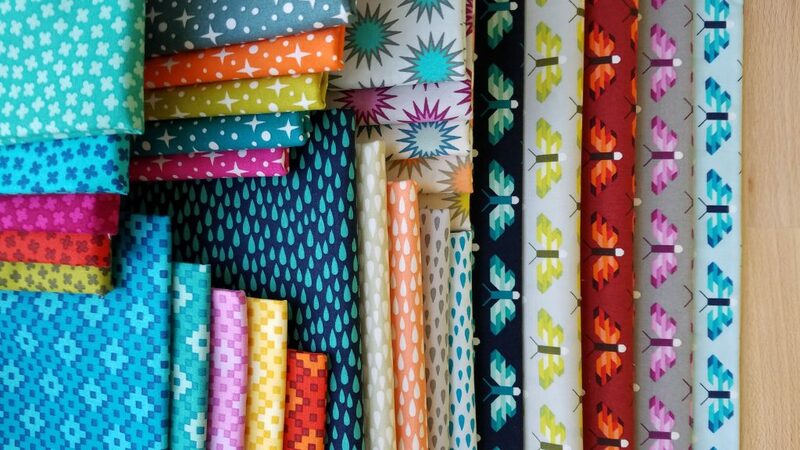 I feel like Elizabeth Hartman’s fabrics are a pretty good ‘capsule collection’ since they offer a wide range of colours and they pair well with other fabrics you will add in the upcoming months. I hope you can make the best of the ‘in between’ phase. Much love! Love the capsule idea….what is a great way of thinking about this ‘in between’! I think it will help me focus on getting projects done in my temporary space too. Thank you for stopping by! I appreciate the support! !